The creative folks over at Monkey See, Monkey Do Children’s Book Store (9060 Main Street) have two Valentine’s Day weekend activities for the little ones. Besides being a wonderful bookstore for children, teens, and even adults, the shop hosts numerous education-based programs throughout the year. 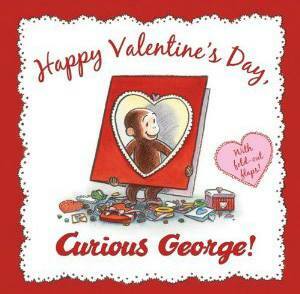 This weekend children can celebrate Valentine’s with some of their favorite characters. 11:00 a.m. to 12 noon. Includes interactive story readings, activity, craft, and mini “tea” parties or snack based on the party theme, Boys and girls are welcome at all events. Dolls and favorite stuffed animals always welcome. Ages: 2 1/2 and up. $10/child. 10:00 – 10:45 a.m. – Valentine’s Day is all about love letters to our families and friends. You can visit Monkey See Monkey Do to share our beloved Paddington’s charming letters to his aunt Lucy which offers his own special view on some of his most famous tales. Valentine craft and snack, too. To learn more about Monkey See Monkey Do Children’s Bookstore, visit their website here.